Today I come up with this topic because I’ve noticed that many top email marketers are use plain text email instead of template email (also known as HTML email). Emails are always a powerful way to get in touch with customers directly. So as a blogger or as an email marketer we have to careful about our appearance. 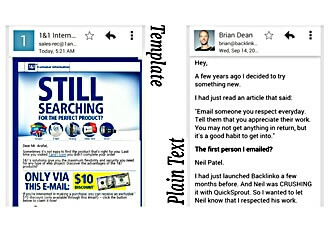 I already told that many top email marketers using plain text emails to promote their contents. But using an optimized well formatted template can create an attractive visual surface, then why plain text? I will explain those points in this article. The HTML emails have color, images, background and all other things like an web page have. They can be responsive to fit on any screen. While plain text emails are only black text on a white background. You can see that template emails are way better and have gorgeous looks than plain text emails. 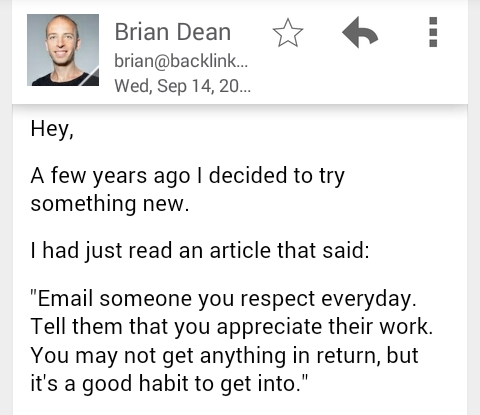 But almost all top Internet marketers choose plain text emails to promote their contents, Why?! 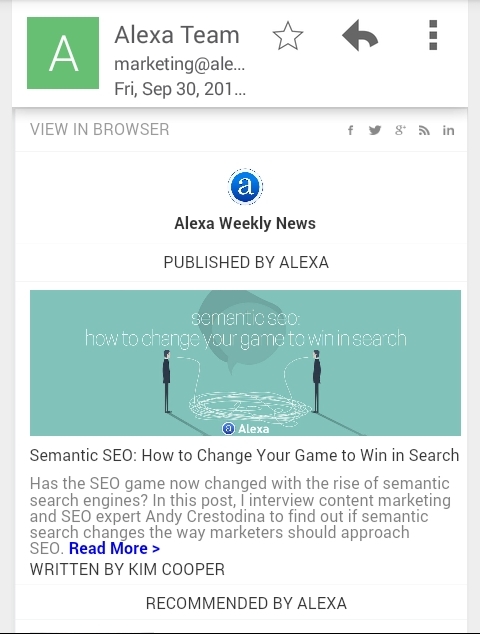 SmartInsights discover that template emails are opened less than plain text emails, and also have lower click throw rate. Sometimes it shows broken images which completely change the main layout of email and recipient has lost their interest cause we don’t like to engage with some broken things anyway. Sometimes wrongly designed template email trigger the spam detection system of mejor email providers like Gmail. You obviously don’t want to shoot the spam trigger when you sent a promotional email to your subscribers. Plain Text emails are much personal and most likely to received from a friend or a colleague. Now a days most of us using mobile phone to get our emails, mobile made emails handy and throw a challenge to marketers to design their emails mobile friendly. In this case, Template has to be responsive and light weight, while text emails load without any complexity. Email services are increase their filtering ability constantly. As GMail already comes up with promotional tab, anything they consider as commercial it will be put in the promotional portion. People basically avoids promotion materials. Should I avoid Template emails? Simply, You have to test first. If you are running a photography blog, then you should include images in your promotional emails. Subscribers also expect to see some visual contents. So up on your topic it may very to have template emails or plain text emails. All you needs to do some test before considering your desired type of promotional email. This is a very good read. Good job!